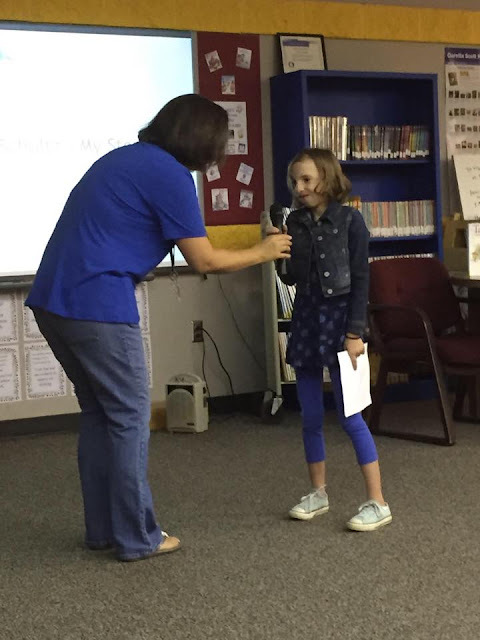 Last month, 8 year old Ellia Schultz from Ohio presented her story during Craniofacial Acceptance Month. She created this presentation almost completely by herself and then presented to her Diversity Club at school. 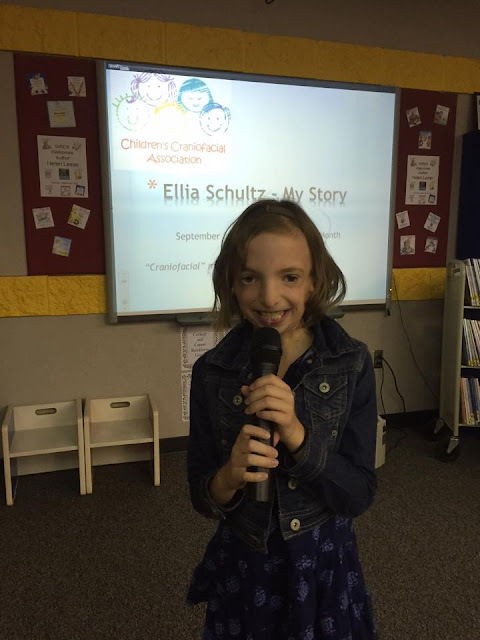 We hope Ellia's presentation will inspire other CCA Kids to share their stories at school. With every presentation, school visit, or Skype session, we are widening the circle of acceptance and making the world a kinder place. Ellia, we are so proud of you! Thank you for sharing your story with us, too! Check out her awesome presentation via SlideShare here.